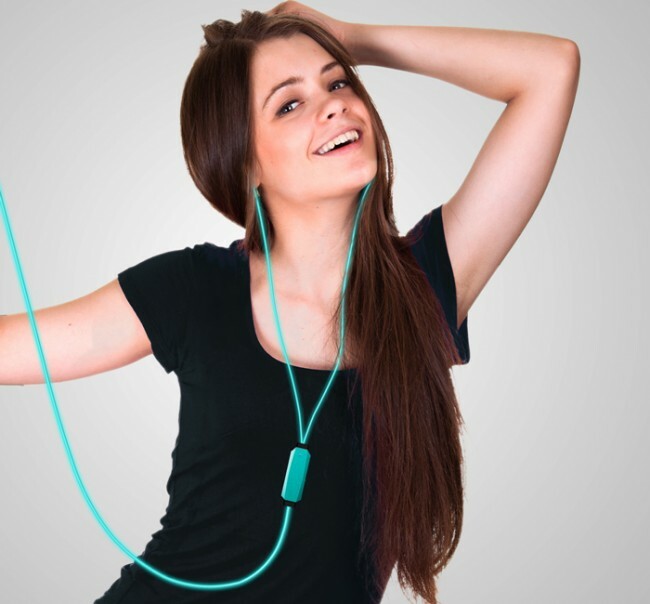 If you love music, this headphones should be indispensable! With a innovating design the headphones insure the best sound quality and the wire will light according to the beats you are listening to. Enjoy your favorite songs with your light-dancing headphones and now you can answer your calls thanks to the built-in microphone. The headphones come in 3 happy colors: orange, green and blue.